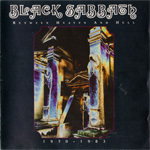 The original release contained a Black Sabbath pick (called here a plectrum). 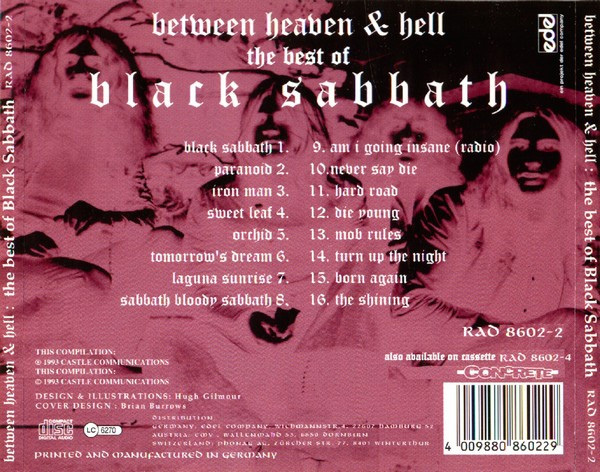 At the time this was released, it was rumored that the songs on here would be cover tracks, not Sabbath originals. That turned out to be false. 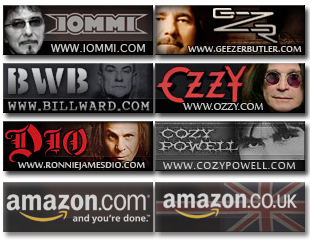 This package was produced by Ozzy & Geezer, with help from Gloria Butler (as per the credit). It would seem from an outsider’s point of view that Ozzy & Geezer who worked on Ozzy’s 95 Ozzmosis album, are doing justice to the old material that was put out on Castle (or Warner Bros in the states). Of minor note, neither Seventh Star or Eternal Idol are covered here, even though Castle had the rights to them at the time. 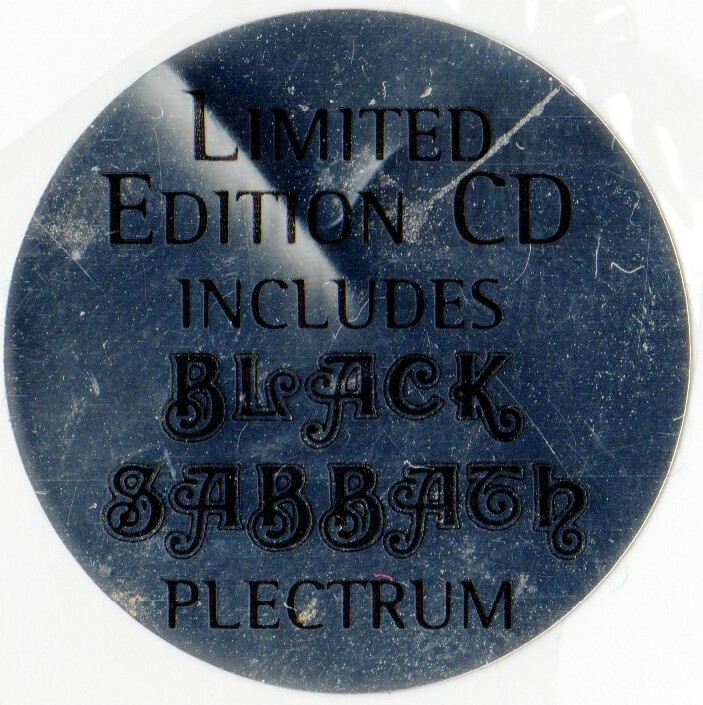 It was also kind of cool that the Black Sabbath logo that appears on this disc is the same one that appeared on the first Sabbath album 25 years ago. 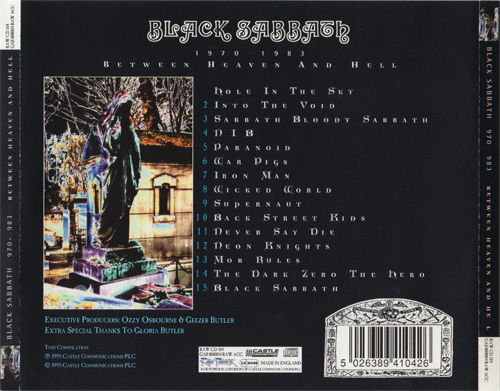 The package had a CD in a standard jewel case, a paper sleeve that it fits in, and inside, it also had a Black Sabbath guitar pick on a cardboard insert that had “Between Heaven & Hell – Black Sabbath 1970-1983” on it, along with an upside down cross. The liner notes had some pictures of the band in its incarnations as they appear on the album, along with a short story (nothing a die hard fan didn’t already know, but still nice) of the band from 70 through 83. There is a picture of the Born Again live band (with Bev Bevan) in there, and it’s also the same picture that appeared as the centerfold of the tour programme for that album. There is a picture that appears for the Dio era Sabbath as being from Toledo Ohio in 1980. This does not appear to be correct. To my knowledge, the stage they’re on is the one from the Mob Rules tour; the stage sets looked different. 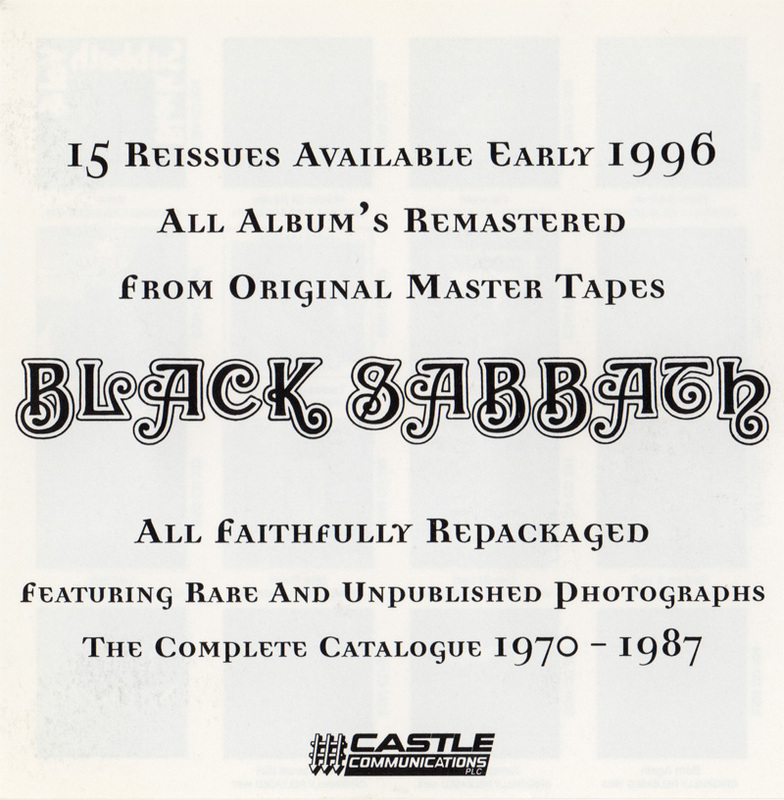 Finally, there is another insert in here which was at the time a forthcoming notification of a full remaster series of Black Sabbath albums from 1970-1987. This ended up being the famous “1996 Castle Remaster Series”. A photo of this insert can be seen below. While this CD was intended to be a precursor to the 1996 Castle Remasters, the recordings used here were NOT culled from that remastering work, these were an older, but unknown remaster source. Probably the 1980’s Castle series on CD, but that’s a guess – I don’t really know the source. 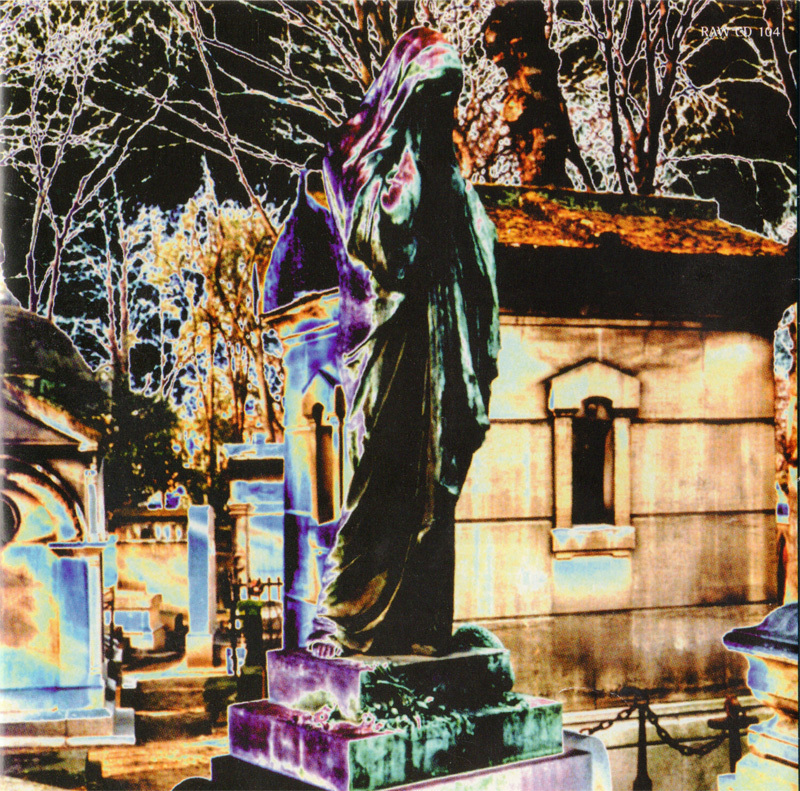 The photo on the cover was taken in Pere Lachaise cemetry in Paris in 1993. 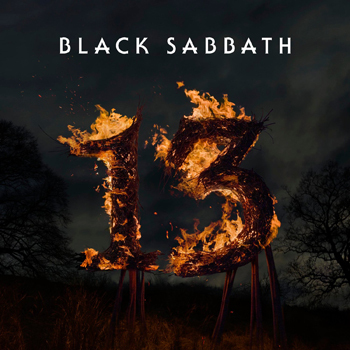 In October 2011, I contacted Hugh Gilmour, a long time graphics designer on various Black Sabbath reissues about this album. I had asked him for some info on it, and he responded back with this story. Thanks to Hugh for letting me use it. 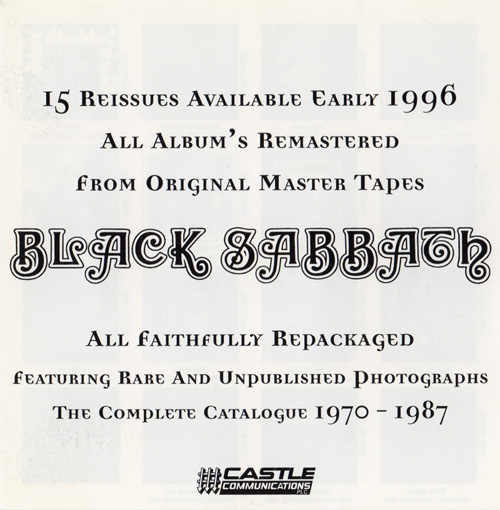 I joined Castle Communications PLC as a part of their newly created Mac-design department in 1993; I wanted to work there because they had the Black Sabbath catalogue. 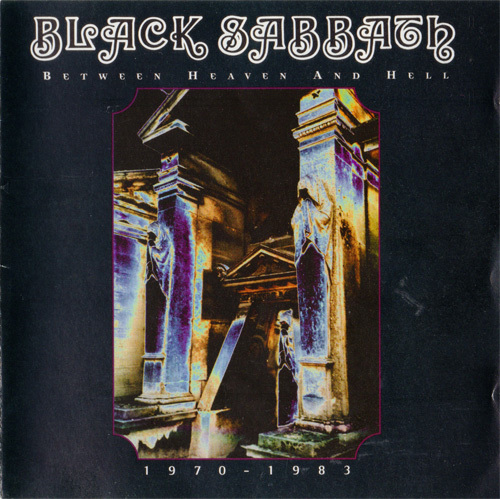 A Sabbath album called “Between Heaven And Hell” was scheduled for release in 1993, but never came out, so when a new Sabbath compilation was scheduled for 1995, I suggested the same title as I reckoned it worked perfectly. My other main contribution to this release was advising `Wicked Word’ was added to the track list. Previously it had been the b-side to `Evil Woman’, the song had never been released on CD before, outside of North America at least, so its inclusion was a definite selling point to fans in UK and Europe. I had studied Illustration at art college, and took the photograph on the cover at Père Lachaise cemetery on a university trip to Paris, in March 1993. If you’re familiar with the cover for the Dead Can Dance LP “Within The Realms Of A Dying Sun”, the crypt on the cover of that album is a short walk from the one on the cover of “Between Heaven And Hell”, and both are a stone’s throw from Jim Morrison’s grave. It was taken on 35mm colour film. I then adjusted the colours in Photoshop, and added some glowing eyes to the figures too. Up until then, Black Sabbath compilations had been very poorly served, usually with the type of wreaths and crosses that made one think more of Remembrance Sunday, and less of the gothic that Sabbath’s artwork and music conjured up, for me at least. If you do have the gatefold vinyl version, the inside was meant to be printed in full colour; I had approved colour proofs, so was very disappointed to find that they had only printed the black film on the inside of the gatefold, and it was too late to change as they were already in the shops. Otherwise, I was very proud of this release. Castle had also started a book division, and had previously been in negotiation to publish Deborah Curtis’s Joy Division memoir “Touching From A Distance”, and I’d considered using this photograph for that book jacket (which was eventually published by Faber). I am glad it ended up being reproduced on a Sabbath LP. Funnily enough, I read one review of this release, in Q magazine I believe, where they reckoned Sabbath had been an influence on Joy Division, so I appreciated that at last they were being critically appreciated and better understood, by the mainstream at least. The three images here are the one side of the 1996 Castle Remaster Series insert, the CD back cover art, and finally some additional art from the booklet and the cemetery photo shoot. 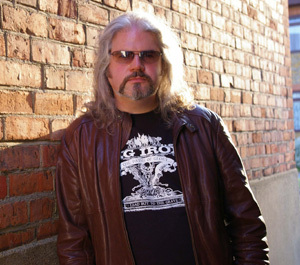 The following is a scan of the cassette tape cover of this release. There is another version of this compilation with a separate track listing and different cover art that is dated 1993. In researching this discography page, I decided to look into that alternate version. Hugh Gilmour tells me this earlier version was slated for release in 1993/1994, but was pulled at the last minute, and should be considered quite rare. Hugh also tells me that he did all the artwork for that version, except the cover, which was done by Brian Burrows. The alternate version had a track listing spanning all the way to The Eternal Idol album, but skipped the Seventh Star & Technical Ecstasy albums. The alternate version was to be from Castle Communications, and had a catalogue number of RAD-8602-2 on CD, and RAD-8602-4 on cassette. The golden years of Sabbath as far as I’m concerned were from 1968-1985. In this time period, everything covered under Black Box was done, and most of what’s in The Rules Of Hell was also done, and Born Again on top of that, with tons and tons of great live shows and not a ridiculous amount of linup changes. Counting versions of Sabbath that were around for a significant time, we have versions MK1-5 here. MK 1 and MK 3 are the ones that did the most work that weren’t Tony’s solo band in everything but name. 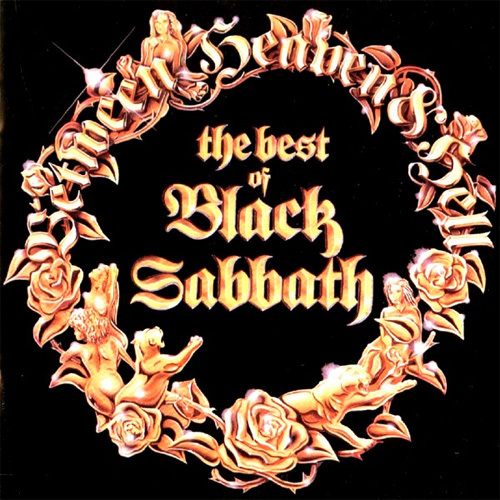 Now I do like some of the Tony Martin work that isn’t Cross Purposes (TYR and at least some of Forbidden), and 7th Star is a great album, but, damn it, you need at least 2 original members to have it be Sabbath. On the main version of this compilation, you have that here from start to finish. And that for me is what’s most important. 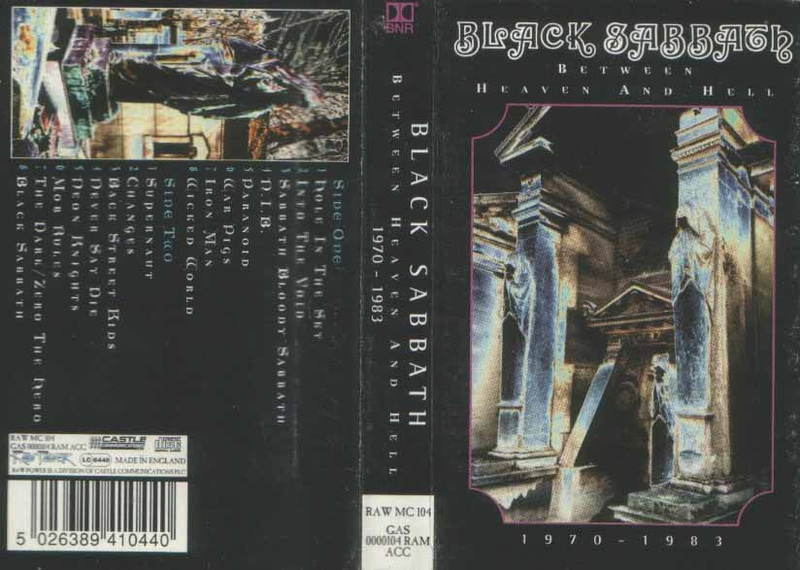 If I had to pick two Sabbath records to be my favorites, I’d pick the demo version of Born Again, and Live Evil. I guess Ozzy and Geezer skipped the Seventh Star and The Eternal Idol albums since none of them was involved in any of them. Found my copy in a second-hand store, surprisingly with the guitar pick still in it, a cool little gem for the collection. There are actually 2 versions of the 1993 version, it is similar in design but has a different catalogue number. I believe it was advertised on TV in the UK around the time it was released.